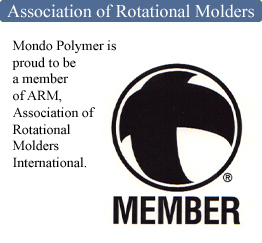 In 2008, Mondo Polymer Technologies acquired the assets of Norfloat North America, a high-quality manufacturer of marine buoys, floats and fenders. The addition of the Norfloat product line to the Mondo product group capitalizes on the company's expertise in rotational molding of virgin polyvinyl plastic feedstocks. For a detailed listing visit the Products page.